Did you hear that India's no.1 channel is "Dangal TV"? Yes, it is true after long time BARC finally released the TV viewership data (TRP). Now everybody is surprised that how Dangal TV became India's no.1 channel. 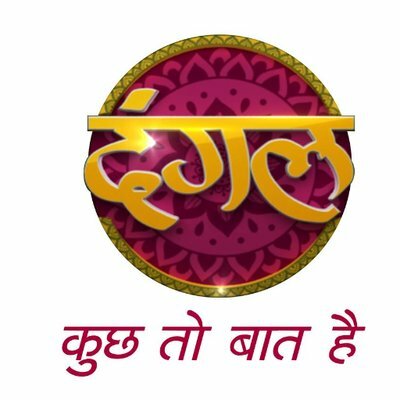 Today, we will try to find out the reason why and how Dangal TV becomes the most popular channel in India. As you know, recently all Hindi popular channels removed from DD Freedish DTH, all popular channels like Star Utsav, Sony Pal, Rishtey TV, Star Bharat, Zee Anmol, Zee Anmol Cinema, Sony Wah, Rishtey Cineplex, Star Utsav movies became pay channel. All the broadcasters decided to remove these channel after implementation of TRAI rules. All the premium broadcasters have worried that some pay tv subscribers may move to DD Free dish after new Trai rules. Because most of DTH and Cable TV monthly plans increased their prices due to high MRP of individual channels, and the MRP is included the tax. For example, if you buy 10 popular pay tv channels individually according to the current MRP rates then it may be higher then previous CAble TV / DTH monthly charges. Let's Calculate the total prices of the first 10 pay popular channels with tax. See the difference, earlier all the middle-class viewers or the families (like me) have subscribed monthly base pack of Rs.240-250 and getting all Hindi pay TV channels, All popular Hindi Channels, almost all the music channels including news, kids and infotainment. (No English channels). It means entertainment became very expansive for me. So that's why all the broadcasters removed their FTA channels from DD Free dish and included them in broadcaster bucket. but the end of the picture, DD Free dish subscriber lost all the entertainment and now all DD Free dish subscriber watching only Dangal TV and Big magic, because as of now, only 2-3 Hindi private channels available in DD Freedish. Personally, I would congratulate to "Dangal TV" for this milestone and it is bad news for those channels which was earlier on the top but now in the bottom or not showing in BARC data. Now you easily understand how "Dangal TV" became India's no.1. For confirming BRAC data, you can visit their official website.